l'Elide et la Triphylie Pour le Voyage du Jeune Anacharsis. 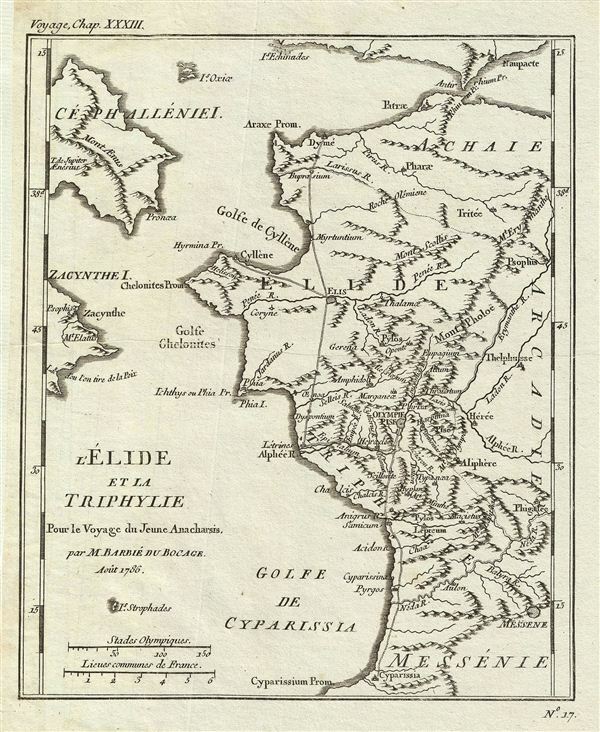 This lovely little map of elis and Triphylia, in western Ancient Greece, was prepared by M. Barbie de Bocage, after D'Anville, for the 1785 Travels of Anacharsis. The sanctuary at Olympia, located in this kingdom, was the home of the original Olympic Games in 776 B.C.e.